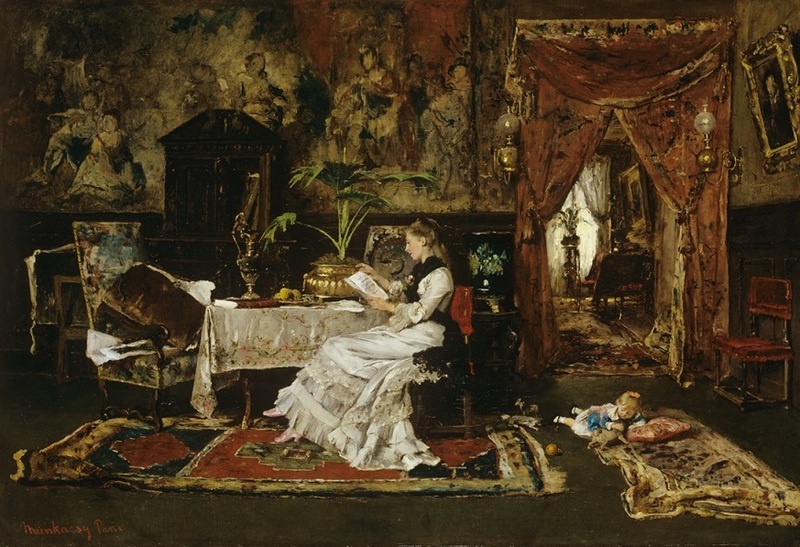 In the second half of the 19th century, Mihály Munkácsy (1844-1900), a Hungarian artist who lived in Paris and sold his pictures to wealthy collectors in Europe and America, was an internationally known celebrity. Today, there are paintings by him in collections such as the Metropolitan Museum or the Milwaukee Art Museum, but his fame has declined, washed away by the modernisms of the early 20th century. In Hungary, however, Mihály Munkácsy is still the default choice for blockbuster exhibitions. Reproductions of his paintings decorate the walls of many homes, and his works fetch record prices at auctions. The ‘reemergence’ and sale of a Munkácsy painting always makes a good news story, but the artist himself remains hidden, veiled in the myths that have surrounded his person ever since his first biographies were published around 1900. Munkácsy is the saddest Hungarian victim of the tendency to mythicise ‘famous’ artists and their ‘valuable’ paintings at the expense of a deeper understanding of their work and the art historical questions involved. Even scholarly discussions tend to evolve into endless debates on the attribution of certain works – that is, on whether they had effectively been touched by the one and only genius -, although it is well known that the ‘Munkácsy’ paintings of the 1880s and 1890s were produced in close collaboration with his students. While Munkácsy’s paintings are immensely popular with the general public, many (art lovers and professionals alike) have their reservations. This is partly due to an aversion towards the blockbuster mentality. Another reason is, however, a tendency to measure Hungarian art history to the usual narrative of modern (French) art, with Realism, Impressionism, Post-Impressionism, Fauvism, Cubism, etc. following each other in a distinct genealogical line, each overriding the previous one in its ‘modernity’ and ‘progressivity’. Munkácsy finds no place in this mythical family tree. It has been stated many times that – even though he lived in Paris – the painter had ‘failed’ to recognise the importance of Impressionism. But Seriously: What Is Hungarian Art History Anyway?